Gooey Nutty S’mores Crockpot Candy – this easy candy recipe is made in a slow cooker with chocolate, graham cereal, peanuts, and marshmallows! It makes enough for everyone on your list…or just you. You know, if you’re me. STOP THE PRESSES. Y’all, Christmas came early. Last week, I needed to go grocery shopping at Walmart, which is my least favorite thing to do. Not because I don’t love shopping (I do) and not even because I don’t love shopping at Walmart (I actually do love it), but because the line is always horrendous. Even if I go at 8am on a Sunday morning, I still have to wait at least 20 minutes in line. And with all the crowds right before Christmas? I was getting that anxious/nervous/sweaty feeling because I know I’d spend 2 hours shopping and my day would be shot. And then? AND THEN I remembered they now offer online grocery shopping. So, I’m gonna stop here and tell you that this post is NOT sponsored for Walmart. Not at all, not in the slightest. I am just so excited about this new service that I posted about it on Facebook and now I have to shout it here because I just picked up my groceries and I’m still on an I didn’t have to waste my day shopping high. I found out about the online grocery from doing a sponsored post for Glad (you know, that peanut butter chocolate toffee crack y’all loved) but I hadn’t tried the service until the other day. Basically, I went online, shopped on the grocery site, picked all my favorites, then picked a free pickup time (yes – it’s FREE). The next day I downloaded the grocery app, which notified me that my order was ready (early) so I checked in on my way (less waiting once you get there), pulled into a pickup slot, and my favorite new person (the Walmart employee) came out and gave me my groceries. The whole thing took about 15 minutes total, including shopping online. I’m never going into Walmart again. (This might backfire on them.) Anyway, I have a referral link if you’re interested. You get $10 off your first order (disclaimer: so do I) but, hey, it’s $10 off your groceries. That’s always a win. 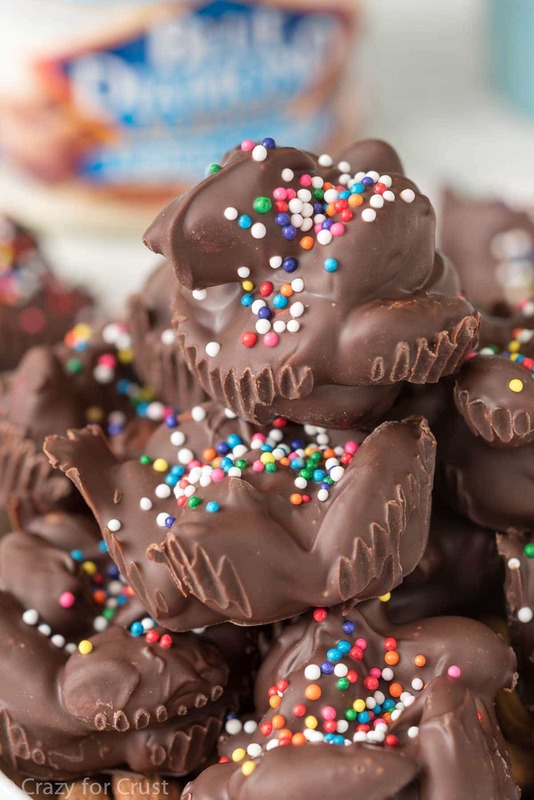 Have you ever made crockpot candy? It’s so easy! You just dump everything into the slow cooker and then let it cook for a few hours, until it’s all melty. 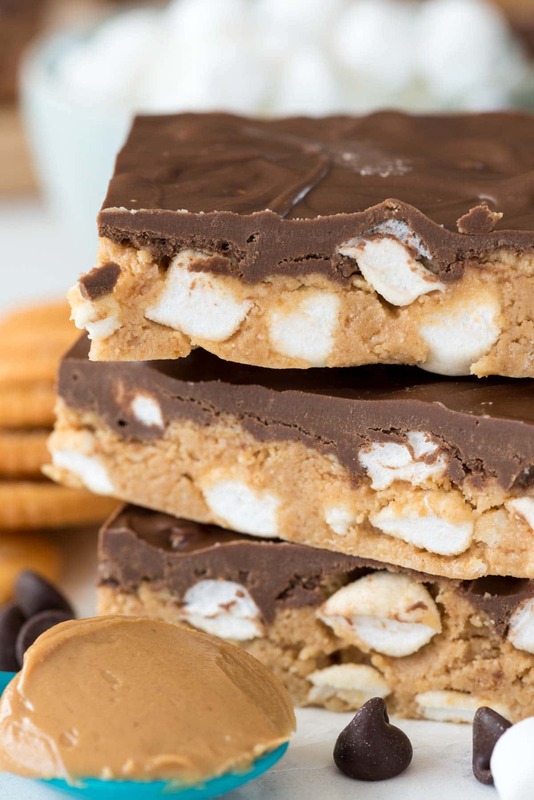 This S’mores crockpot candy has peanuts (you can use any nut) and Golden Graham cereal as the base, to make it more like s’mores. The chocolate goes in on top; I used chocolate chips and vanilla almond bark, but you can also use any kind of chips you want and any flavor bark. Once it’s all melted, stir it together, then stir in some mini marshmallows. Some will melt, some won’t; then you scoop it onto cookie sheets and let them set. 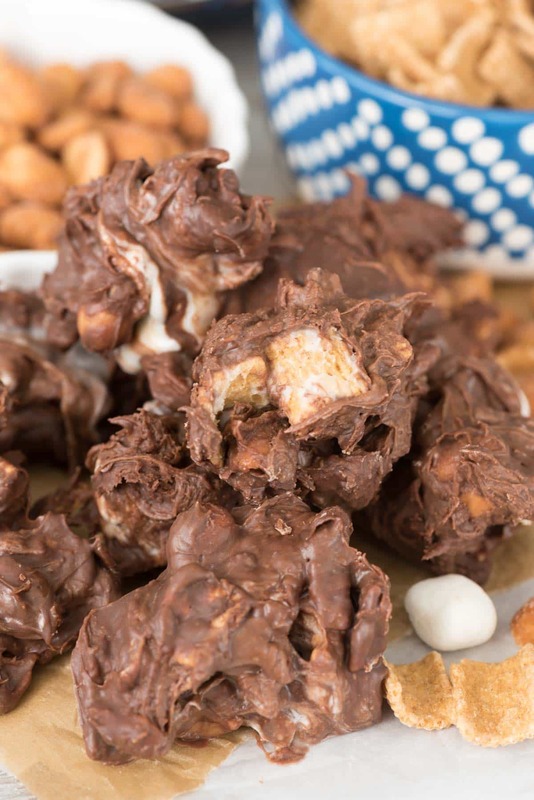 Nutty s’mores crockpot candy pieces look like little mounds of…something…but they taste so good. This recipe makes a 2-3 dozen, depending on the size you make them, so it’s plenty to wrap up and give to everyone on your list. Plus it’s a totally easy and last minute treat. Easy gooey Nutty S'mores Crockpot Candy - this candy recipe is made in a crockpot with chocolate, graham cereal, peanuts, and marshmallows! Place nuts and cereal in the bottom of a 6-7 quart crockpot. Place almond bark and chocolate chips on top. Cook on high for about 2 hours (check after 1 hour) until all the chocolate is melted. Stir to combine the nuts, cereal, and chocolate, then gently stir in the marshmallows. 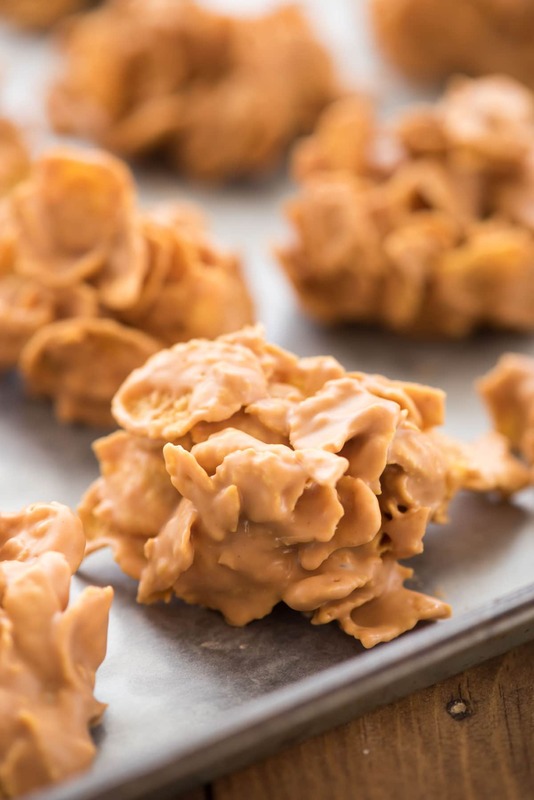 Immediately scoop candy clusters onto wax paper lined cookie sheets using two spoons. Chill to set. I am not a fan of long lines either. The online shopping service sounds great – just like your crockpot candy! Sold from just reading the ingredients of the recipe. This sounds/looks addictive. I want to be addicted!!! I had the EXACT same experience at the grocery store last week – lines wrapped around the store! I’d so much rather order online and sit home and eat THIS. Such a delicious recipe! Right? I couldn’t stop eating it. omg this looks INSANE!!! wowzah! Where do you get almond bark? Or do we make it? Thanks! You can find it in the baking aisle of most grocery stores. It’s called Almond Bark, or sometimes they have Candiquik (another brand). If I wanted to make this for someone with nut allergies could I just leave out the nuts or would I need to add more cereal or something else?